Sean Uytengsu just had the ultimate bonding time with his dad. 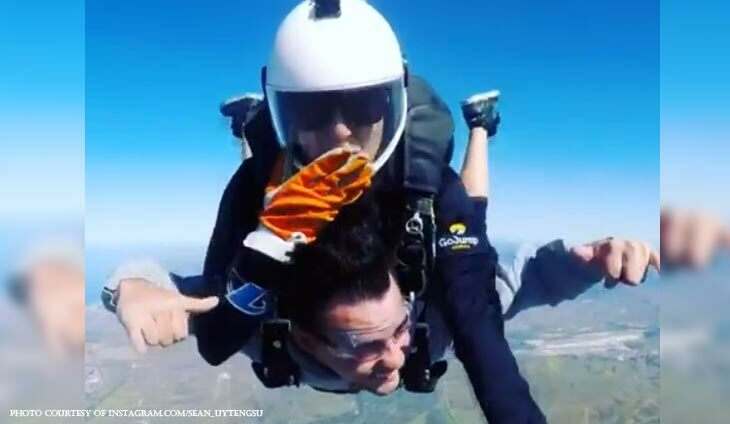 “Skydiving is special because it’s almost the closest to an out of body experience you can have. No words can describe how much fun I had today skydiving with @wsuytengsu.One of the best things I have ever done! @alygirl thank you for such an amazing birthday gift. I love you. Bucket list ✅. When can we jump again!” @sean_uytengsu said. Nothing is sweeter than the birthday messages you get from your loved ones.